Good news, everyone! 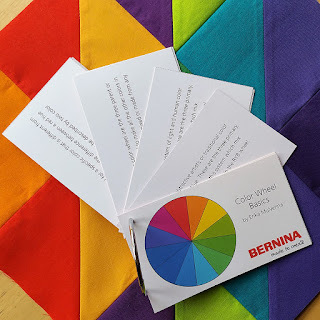 As part of my Color Wheel Series for the BERNINA WeAllSew Blog, I've designed this fun little paper pieced color wheel pincushion for you! Click over to WeAllSew to find the free pattern and tutorial. 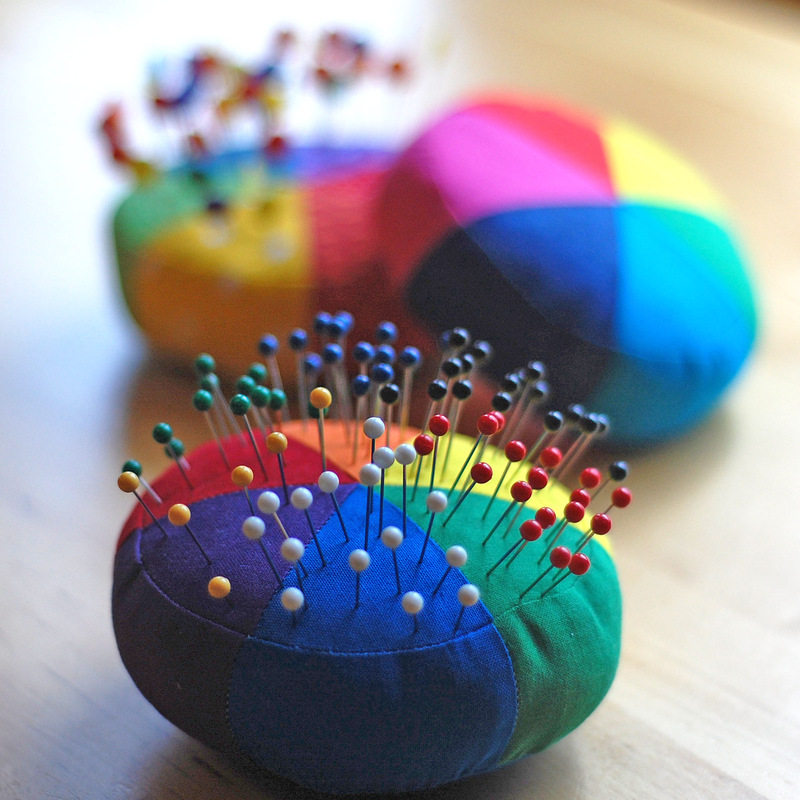 You can use the colors from your favorite color wheel, or you can create a new color wheel with your favorite hues. If you're already a paper piecing pro, you can probably whip one of these up in less than an hour. I made three in one evening! 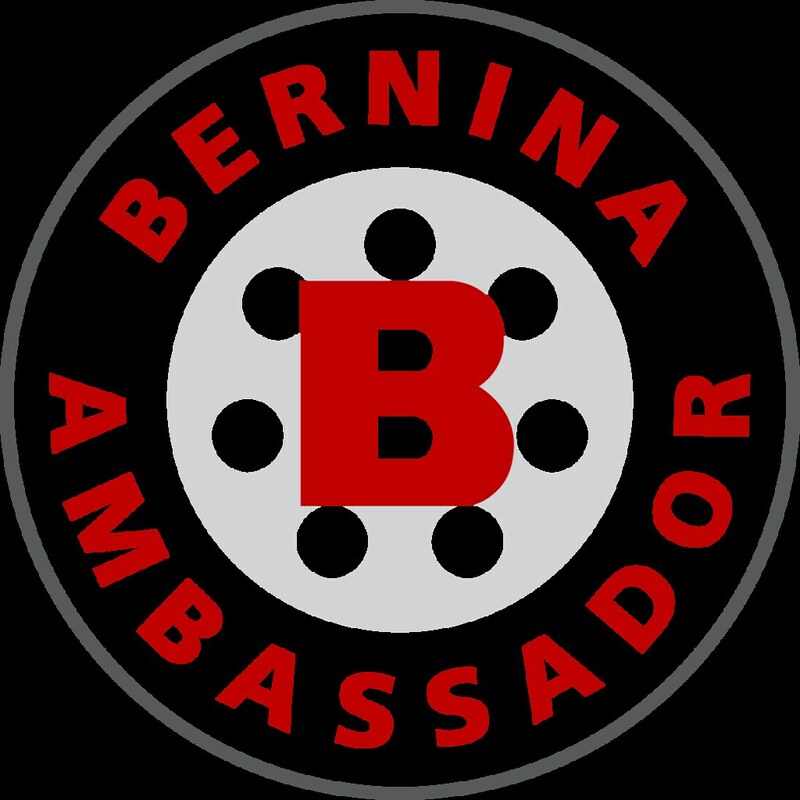 Be sure to check out the other posts in the series as well. In the Color Wheel Basics post, you can learn what a color wheel is and get a free downloadable set of Color Cards to learn basic color theory terms. 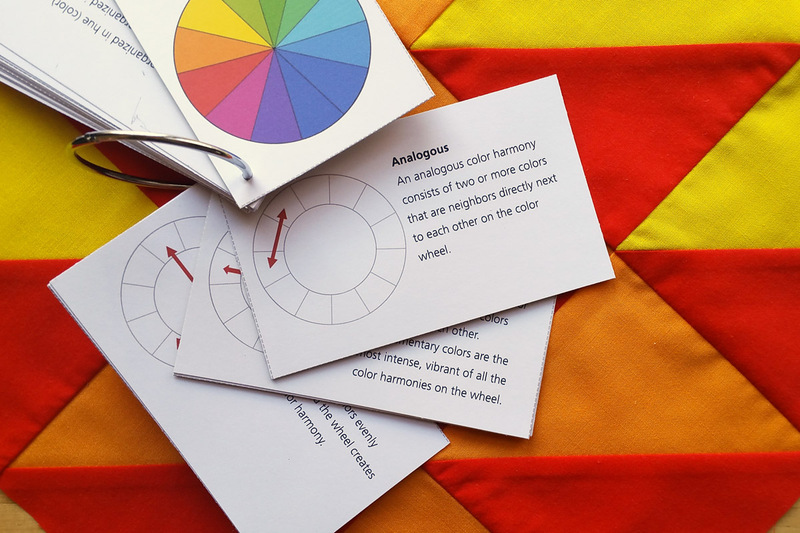 In the Color Harmony Basics post, you can learn about color combinations on a color wheel and get a free downloadable set of Color Cards to remember 10 common color harmonies. Thanks for visiting me at Miss Sews-it-all! Please let me know if you make one of the pincushions, and definitely, share a pic or two—I would love to see your version of the color wheel.